UNIShare Mawson Lakes is within walking distance of the Mawson Lakes campus of the University of South Australia (UniSA), and offers a choice of buses and trains to the city of Adelaide. North Terrace is only 30 minutes away. Students who spend time at the Magill campus will appreciate the convenience of living on the bus route which connects Mawson Lakes and Magill, via the Paradise Interchange. The house is also conveniently located for Flight Training Adelaide (FTA) at Parafield Airport, and for the various TAFE campuses in Adelaide and northern areas. UNIShare Mawson Lakes’ northern location, not far from the Defence Science and Technology Group (DSTG) at Edinburgh, provides ideal accommodation for participants in DSTG’s Summer Vacation Scholarship (SVS) program. Mawson Lakes shopping precinct is 5 minutes away by bus, Ingle Farm shopping centre is 10 minutes away to the east, and Tea Tree Plaza / Modbury Interchange is a further 10 minutes away. Tea Tree Plaza is the largest shopping mall in Adelaide’s north. 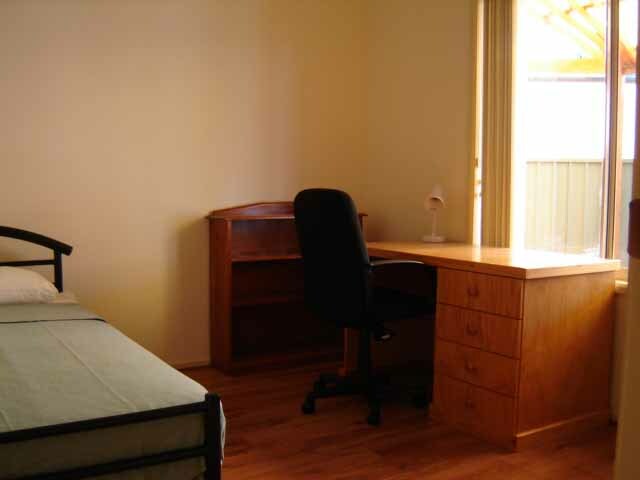 Rents start at $155 per week and include all utilities, internet, cleaning and gardening services. Besides the general information we offer elsewhere on the website—What’s Included?, Getting to Your Campus, House Rules, Checklist for New Arrivals and the like—you can toggle the orange buttons below for all information specific to our share house in Mawson Lakes. Can you tell me more about the share house in Mawson Lakes? UNIShare Mawson Lakes is a modern home built in traditional Aussie style, with twin bullnose front verandahs, and a spacious covered pergola extending the living area into the rear garden. 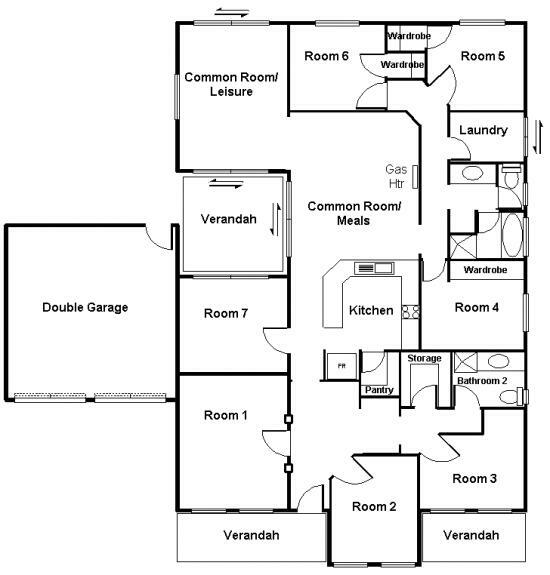 The house was built in 2004, on a generous floorplan providing up to 7 bedrooms, 2 bathrooms and 2 living areas. The kitchen overlooks the main living areas. The kitchen is equipped with a refrigerator, a microwave oven, a fitted gas oven and a dual gas/electric hob. A washing machine is provided in the laundry, which has sliding doors to outside. A clothes line is attached to the rear of the house. UniShare living offers levels of comfort and convenience rarely found in private rental accommodation for students. We strive to create a welcoming home from home for our residents, and we expect our residents in turn to treat the home with the same respect as they would their own. 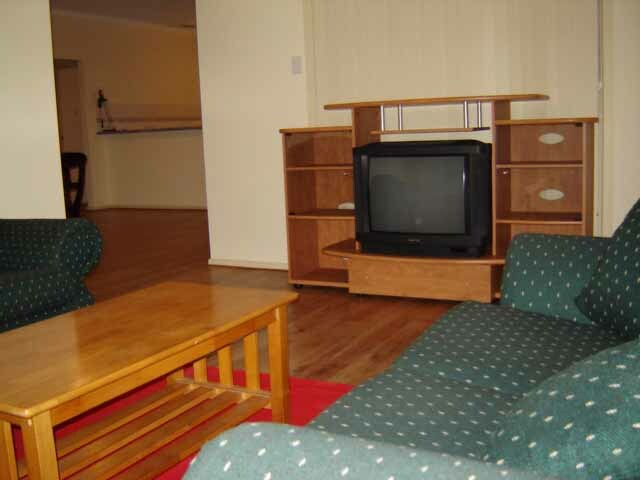 Rents for the standard 12-month tenancy range from $155 to $170 per week, including utilities (no bills to pay!). Rents for shorter tenancies will be determined on a case by case basis. All amounts are in Australian dollars. UNIShare offers superior shared accommodation in prestigious Mawson Lakes, within walking distance of campus. To arrange an inspection, or if you simply have a question, contact us. Are there any vacancies at Mawson Lakes? We have an immediate vacancy at UNIShare Mawson Lakes. To apply, please complete an application. 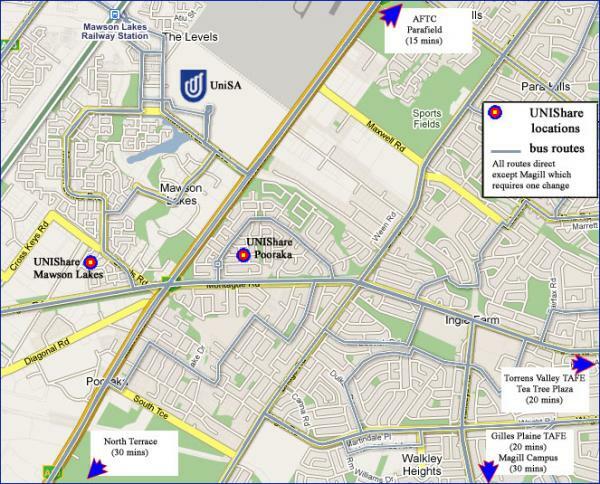 UNIShare Mawson Lakes is located in the pretty Peppercorns estate of Mawson Lakes (map location is approximate). Find information on bus routes serving the suburb of Mawson Lakes.